As I slowly collect pieces, I find that my appreciation for etching an ever growing thing. 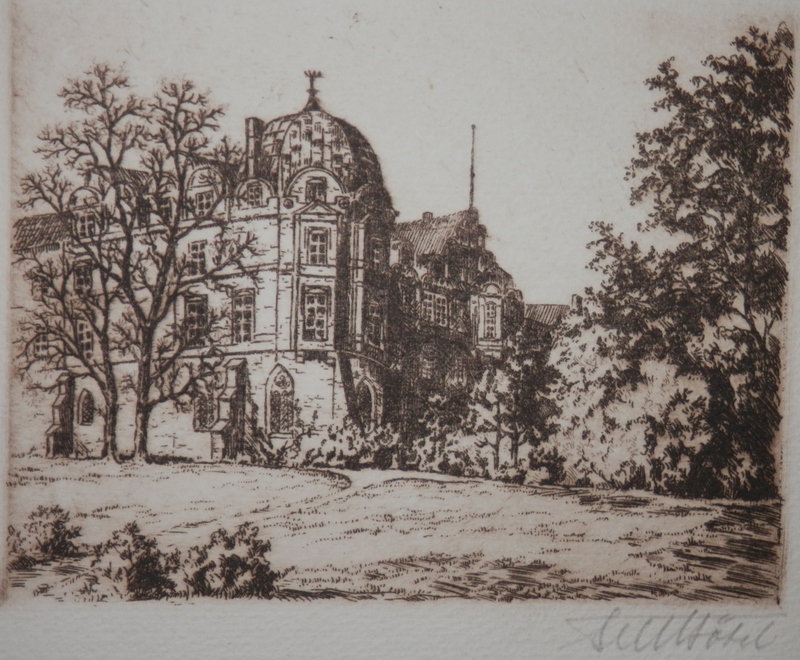 This week I acquired six etchings by the same artist. The etchings are signed but I have yet to decipher the signature. 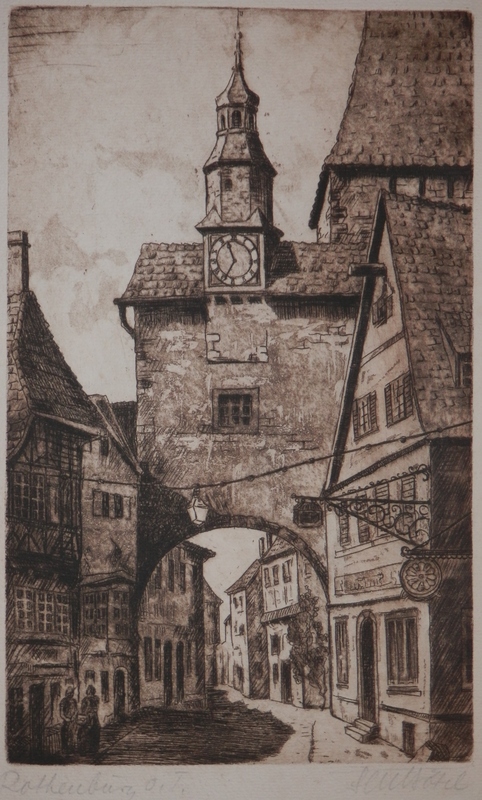 The only etching which is titled is of the #RoederGate, #Rothenburg. 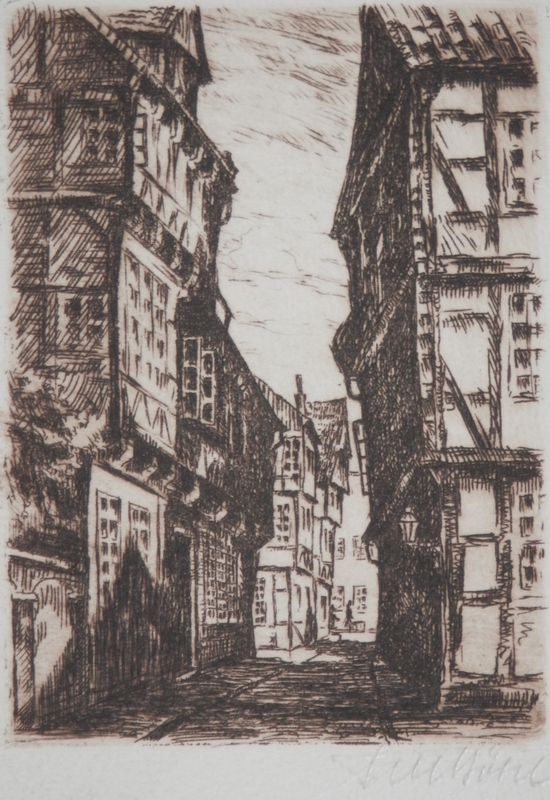 The etching is signed in the lower right and titled on the lower left. 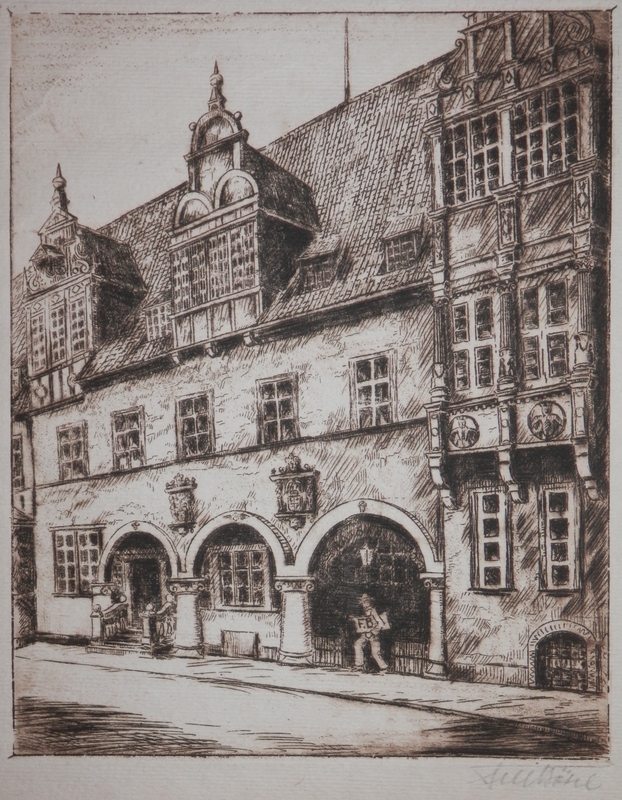 Although not dated and no watermarks exist on the paper, I estimate the creation date to be around 1900. I, also, guess that all the images are from German towns and cities. Rothenburg ob der Tauber has a well-preserved medieval old town and is a destination for tourists from around the globe. The #RoedertorTower stands at the east end of the old city and it along with the town hall tower are the only two accessible towers in the town. Picturesque Rothenburg has appeared in print (Elizabeth Peters – Borrower of the Night) and film too. It was a primary location for Chitty Chitty Bang Bang as well as Harry Potter and the Deathly Hallows Part 1 & 2. I will not say too much about the five other etchings done by this artist except that they are well executed . Precise and accurate architecturally. I just wish I knew where the sites of these other etchings are today to compare. Since posting this chapter I have found the artist. His name is #FritzBotel (1896-1959). 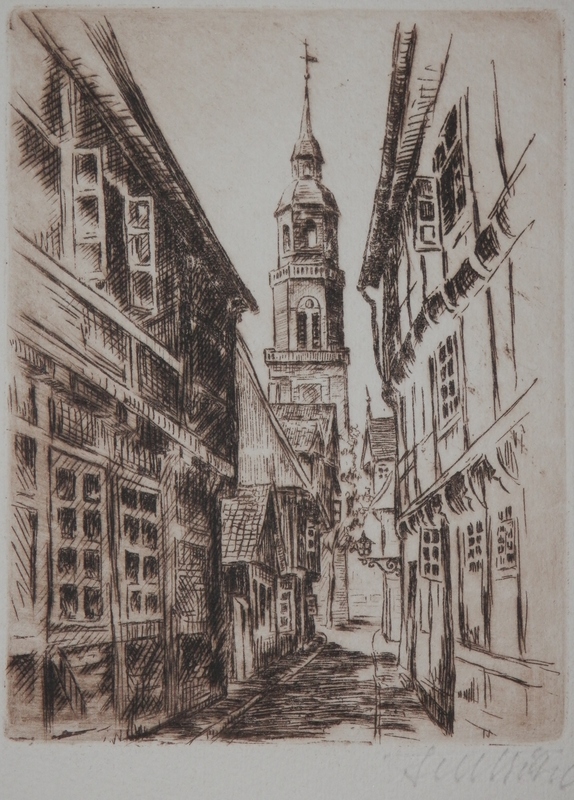 I’ve not found too much information on him but he is certainly a talented etcher. 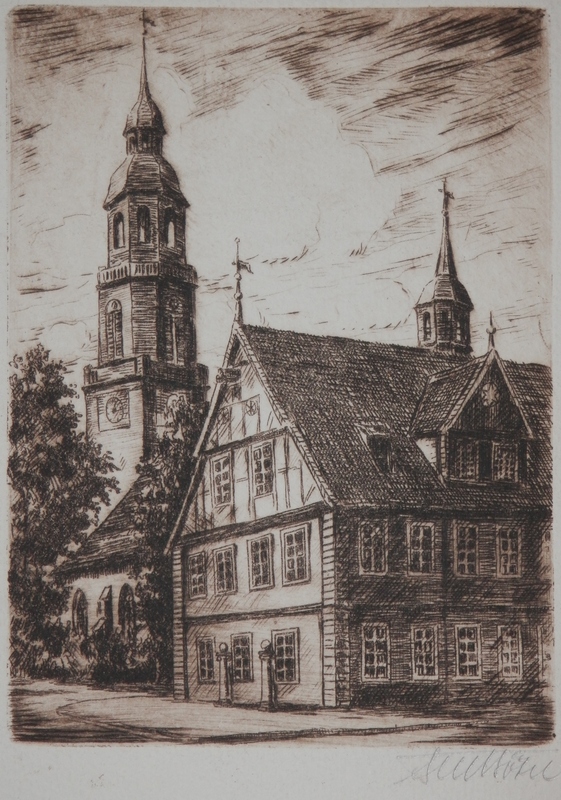 This entry was posted in Etching and tagged church, city gate, German, Roedertor, Rothenburg ob der Tauber, spire, street, tower, town hall. Bookmark the permalink.